Experience Your Rich Content for the Web, Mobile/Tablet and Social. Stocktoc has complete solution of Digital Publishing that lets media and business publishers create, distribute, monetize and optimize publications for web, mobile/tablet devices. Here we create Epub Books, Interactive Magazines, Interactive Brochures, Interactive Catalogs, Newsletters, Interactive Presentations and Reports for Individuals and for organizations. Stocktoc serves as a bridge between academia and enterprises around the globe through its publications and multiple platforms for content delivery and its reach into three markets: academic, corporate and individuals. We bring innovations for readers to read and carry your publications, on a laptop and smartphone/tablet, everywhere to give you the best reading experience. Stocktoc Digital Publishing automatically enables your ePublications to viewed on any PC, Mac, iPad/Tablet, Mobile with iOS & Android and your Social Media. Which is ideal for Digital Magazines. Our Editions are automatically enabled for Mobile browsers! So much faster and easier to distribute than an App, with no App store approvals required. Instantly ready to view with no waiting for huge downloads! Our Editions automatically scale to the user’s device. Stocktoc Creates inter-active ‘rich media’ Publications – with multiple layers of hyperlinks, sounds, and videos – for a rich media experience combining the best of print productions and rich media websites. You can either use a (1) URL from YouTube, (2) your own, hosted MP4 video, via URL, or (3) hosted FLV video with Your existing URL and Email links are automatically enabled. There are so many ways to promote and distribute your ePublications to all your fans. There are many different ways to display and distribute your Digital Publishing Assets Online. Displaying your editions on Social Media. By URL links (in an email) to your global audience. Display edition cover on your website and load URL link behind. Embed mini version in an iframe on your website. Secure display option. Add mini buttons to your edition on your website. Place your personal brand assets and logo. Put banner advertising or sell your digital space. So easy to ePublish and SELL your Publications Online. And Keep ALL your Sales revenue! Sell any individual Issues Online. Publishers with multiple titles and issues. Creates your own branded Store to SELL your Issues. Unless you have a strong aversion to dealing with reality you’ve no doubt become aware of the fact the human race has gone mobile. Smartphones were adopted in a relatively short amount of time and have great influence on consumers. Additionally, this increased mobile usage has led to an increase in the consumption of digital content. Digital Magazines offer tremendous benefits unmatched by other media channels. Digital magazines have the ability to reach readers on a global scale. They have become a powerfully engaging way to keep a reader’s interest while maintaining loyalty, even when readers have moved to another location. Digital magazines allow publishers to send content to readers no matter their location. Digital magazines reach their audience in a very short amount of time, and online readers often consume the edition the very same day it’s distributed. One of the advantages digital magazines have is they can contain an increase in the number of pages without changing the layout or having to condense text to work with a particular format. Also, publishers do not incur additional costs for paper or printing additional pages in a digital version of a magazine, which means no additional fees are passed on to advertisers. 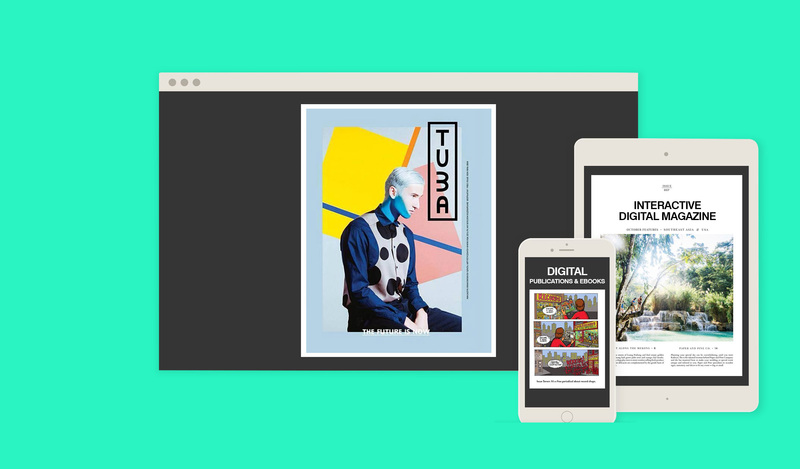 Some would have you believe digital publishing replaces print, but this is simply not so – there is room for both printed and digital magazines. In fact, the MPA factbook reports 87% of those interested in reading magazines on a mobile device still want a printed copy. Owning the digital publication of a magazine does not stop readers from wanting the printed copy as well. True customer satisfaction often relies on two-way communication, and digital publishing software allows digital magazines to track reader engagement and identify preferred topics, which can then enhance future publications. When content is created around the audience’s interests, they are more engaged and more apt to click on advertisements distributed throughout the content. With digital magazines, publishers don’t have to worry about the expense and logistics associated with unsold copies. Again, the more money a publisher saves, the more savings will be passed on to advertisers.